When you live in McKinney, you need to have an air conditioner that works properly during the area’s sweltering summers. When it gets cold out, you need to have a furnace, heat pump, or other heating system that will keep your home warm at all times. Cote’s Mechanical excels at making sure that homeowners and business owners in the McKinney area have a working HVAC system all year long. Whether it’s time to have new equipment installed or have unexpected repairs taken care of, our technicians are here to help. Cote’s Mechanical works hard to keep your HVAC system up and running as efficiently as possible. 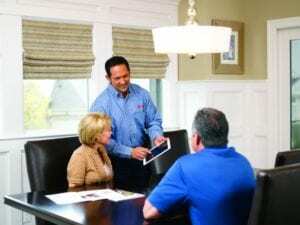 From new, energy-efficient installations to sudden repairs, our company has your home or business covered. We offer a wide range of heating and cooling services for residential and commercial customers in McKinney. 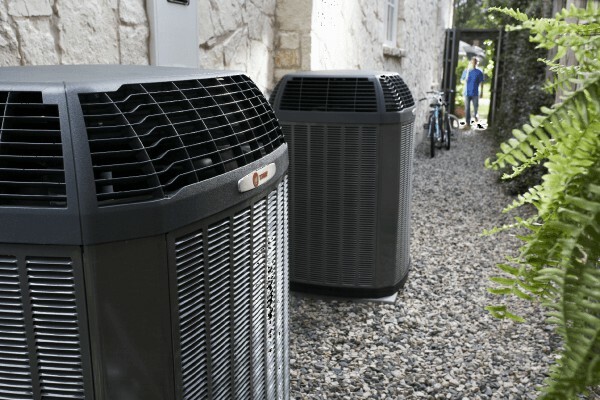 Cote’s Mechanical provides reliable A/C and heating unit installation and repair in McKinney. Our technicians are experienced, skilled, and trained to handle HVAC repairs for different types of equipment, including central air conditioners, heat pumps, electric and gas furnaces, and more. We also offer replacement services to ensure that you have equipment that is in excellent condition. Our other services for heating and cooling systems include maintenance, as well as ventilation and air duct cleanings. These services play an important role in helping you maintain a comfortable home or business, no matter how hot or cold it gets outside. Whether you want to set up regular maintenance for your system or schedule installation for a new HVAC system, you can rely on us for help. Cote’s Mechanical has had a strong commitment to providing exceptional customer service for homeowners and business owners in the McKinney area since 2001. Cote and Kristi Wyatt – owners of Cote’s Mechanical – now have a highly skilled and experienced team of technicians and office staff ready to assist customers with their HVAC needs, including emergency repairs. Being able to provide customers with prompt assistance when they need sudden repairs has earned us glowing online reviews. Our customers appreciate that our technicians can come at any hour to get their home’s heating or air conditioning working properly again. Several neighbors on Nextdoor have also recommended our company to those in the McKinney area who need HVAC services. Cote’s Mechanical also has awards and other accolades from national organizations due to our commitment to great customer care. These include certification as a Trane Comfort Specialist and for North American Technician Excellence. The Better Business Bureau has given us an A+ rating and accreditation, and Angie’s List has given us a 2016 Superior Service Award. We’re also accredited by the Air Conditioning Contractors of America. Residents who live in McKinney have an average household income that’s higher than the averages for Texas and the U.S. Home buyers in McKinney also pay more for a home than they would in other parts of Texas or the U.S. as a whole. The average home price in McKinney is $228,500, while the U.S. average is around $184,700 and the state average is around $142,000. There are around 181,300 people who make their home in McKinney. The city is close to both Plano and Dallas; Plano is about 14 miles away via US-75 S, while Dallas is about 33 miles away along the same route. Fort Worth is about 57 miles away via the Sam Rayburn Tollway and TX-121 S, and Denton is around 44 miles away via the tollway and I-35E N.
McKinney has several places where residents can spend their free time, including outdoor recreation and cultural attractions. Visit Heard Natural Science Museum and Wildlife Sanctuary to see dinosaurs, a pioneer village, and more. Play disc golf, enjoy a paddleboat ride on the lake, and go fishing at Towne Lake Recreation Area. Go golfing at Oak Hollow Golf Course, and dine on locally sourced foods in a rustic environment at Harvest. McKinney residents who are interested in volunteering have many places where they can do so. McKinney Public Library and McKinney Performing Arts Center have volunteer opportunities available. Volunteers are also needed for the Arts in Bloom festival and other annual events and festivals in the city. Furthermore, residents can join local boards and commissions, such as the McKinney Community Development Corporation, Board of Adjustment and Historic Preservation Advisory Board. Don’t let summer heat waves or winter weather make your home unbearably hot or cold; contact Cote’s Mechanical to schedule service for your heating or air conditioning system. We provide residential and commercial HVAC services for those in the McKinney area. Bill was great. He diagnosed the problem and had the parts to fix it. Bill was on time and very friendly!! Bill was very knowledgeable and I would uses his services in the cut as well as recommend him to my friends. Was on time and fixed problem quickly. Replaced 80/5mfd dual run capacitor. System is cooling properly. Added leak seal and 3lbs of r22 Freon. System is cooling properly. 2014 Goodman. Condensate drain line clogged.